Want to join our Supporters' Club? Are you interested in what’s going on at Widnes FC? 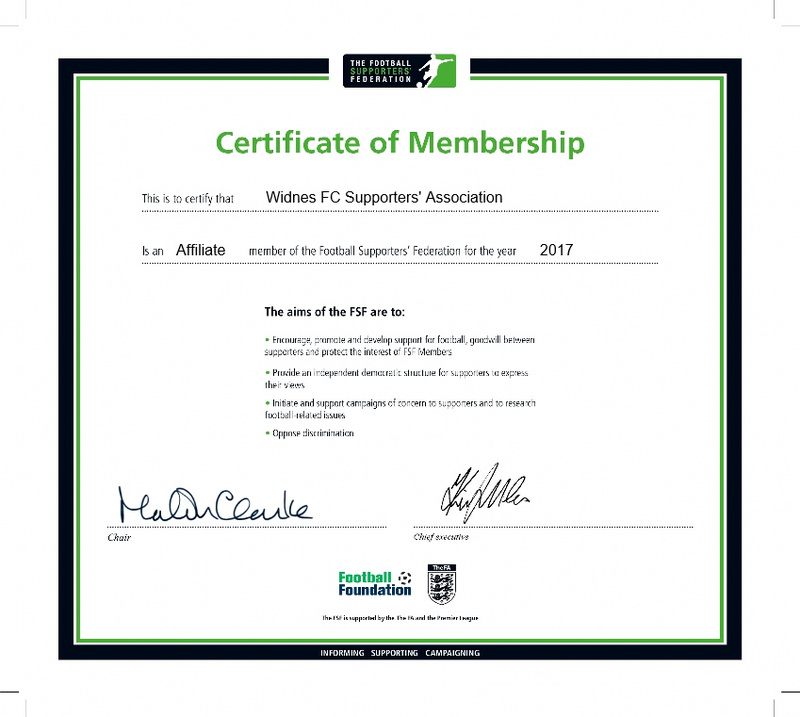 A group of supporters have got together, with the full support of the board, to launch the Widnes Football Club Supporters' Association. The aim of the Supporters' Club is maintain and strengthen the community link with the club whilst having a bit of fun creating an atmosphere supporting the First Team. With the Board of Directors driving the development and success of the First Team forward, it's a good time for supporters to get involved. After all, the club's history has been built on community support.